Create your free account and find out which shipping options are available to you. Browse through our ever growing selection of pasture-raise products. There's no order minimum or monthly commitments. We ship orders on a monthly basis and you will be given a delivery date prior to confirming your order. Orders are typically shipped on Tuesdays to arrive within the chosen shipping option; either Wednesday or Thursday that week. No problem. We'll leave your order at the front door in an insulated box. Once you do arrive home we just ask that you would unpack your items as soon as you are able. Ingredients are carefully packaged in a refrigerated box so food stays fresh even if you’re not home when we deliver. Any freshly thawed items can either be refrigerated or refroze for later use. Orders outside our area will be shipped via UPS. Because many items are charged by the pound we will not know your exact total until your order is packed at which time your card will be charged. All orders shipped require a $13 handling fee. Shipping via UPS 1 Day Ground will incur an additional $1.50/lb. shipping fee. Shipping via 2 Day Ground will incur an additional $2.00/lb shipping fee and shipping via UPS 2nd Day Air will incur an additional $4.50/lb. shipping fee. If Overnight Shipping is required please call our office directly and we’ll be happy to make it happen. Please remember that your order will be shipped on Tuesdays. Since many items are priced by the pound, your final total may be a little more or less than your order's initial estimated total. Once finalized, your total will be charged to your credit card on file and your receipt will be emailed. We accept all major credit/debit cards as our sole payment method. At the time of placing your first order you will be prompted to add a credit card to your account. Once finalized, your order's total will be charged to your card on file and your receipt will be emailed. 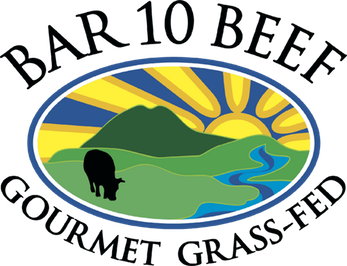 Please understand that Bar 10 Beef is a small farm not a large warehouse. If an item becomes unavailable your final total as well as any applicable delivery fees will be reduced.